It was Ferry Corsten’s favourite artist album of 2008, gave life to 6 killer singles (including ‘Spectrum Pts. 1 & 2’, ‘Late Summer Fields’, ‘Part of Me’ & ‘Lunar Rings’) and most decisively ushered in the 2nd coming of Solarstone. 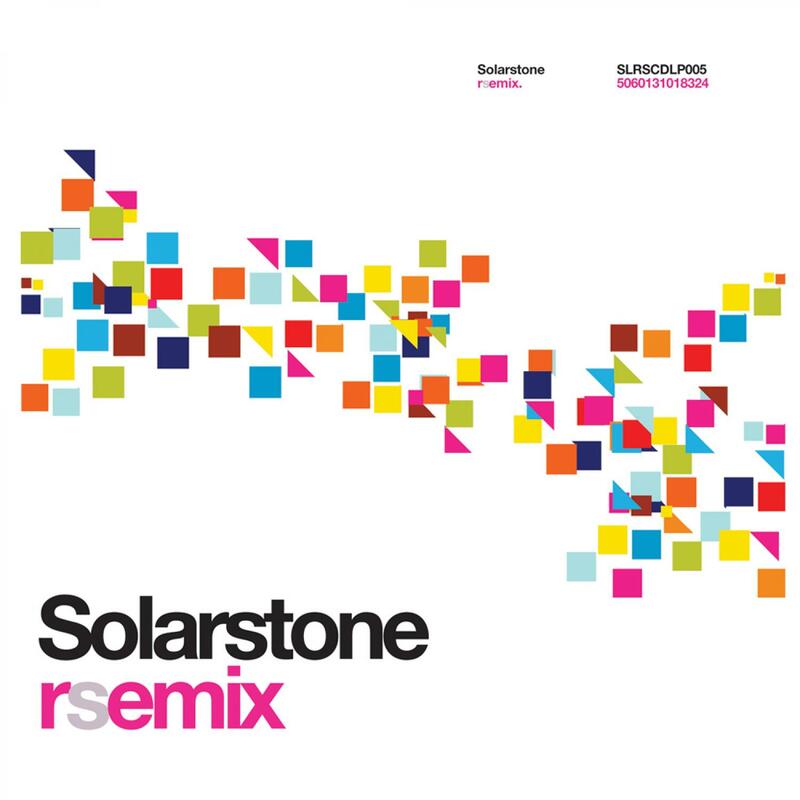 Now, a year after the release of ‘Rain Stars Eternal’, and following a meticulous remix A&Ring period, Solarstone is delighted to present… RSEMIX! The original version of the album took the listener to some places previously unexplored by Solarstone. There’s never been a ‘rule book’ as such with his music. If such a thing existed though, on RSEMIX, you could consider it to have been roundly torn up and tossed out the window! The 80-ish overtones of ‘Breakaway’ have now been transported into a housey, Daft Punk-ian arena by Jaksaw, complete with a chopped, stuttered vocal-fest and irrepressible, funk-powered backing. Courtesy of Probspot ‘Slave’ has been re-rendered as a pacey expedition through broken beats, sunspot synths and BT-ish melodies while gig-fave ‘4ever’ has become a beat-less piano-tinged, autumnal lament. If you’ve ever had a little ‘moment’ listening to tracks like Mental Generation’s ‘Café del Mar’ or A Man Called Adam’s ‘Easter Song’, ‘4ever’ will now chill yer boots off (and pop them neatly at the bottom of the bed for you!). For those needing to feel the pure-form floor-energy (and are maybe starting to wonder if you might have been forgotten) – fear not! Unsurprisingly Ferry Corsten had the run of RSE’s range to pick from. He selected ‘Late Summer Fields’ and has turned it into a ravenous beast - bristling with floor armour and setting up to cause uproar when its re-released next month. Bissen, Beetseekers and Pedro del Mar & DJ Cosmo have also been keeping the club end of things firmly within their sites whilst re-maping ‘The Last Defeat, ‘Dark Heart’ & ‘Lunar Rings’! The closer Solar-watchers among you will no doubt spot that there is also a good degree of ‘Electronic Architecture’s alumni contributing to RSEMIX’s tracklist. Solar Energy, Bot Cyprian, Stan Void & Jox have all been hard at it, recalibrating (respectively) ‘Part of Me’, ‘RainStarsEternal’, ‘Spectrum’ and ‘Filoselle Skies’. ‘RainStarsEternal’s remix passage has been a prodigious one. If you’re reading above and heard forum-talk of a remix that’s not mentioned, don’t worry! RSEMIX will be completed by a download-only version that will take in reworks of tracks by Randy Boyer and Kristina Sky, Forerunners, Heatbeat, Tasadi, Nick Rowland, Jule Bricks and Monolythe. So there you have it, all the tracks you fell in love with in 2008 are back, remixed, waxed polished and given a whole new look & listen… ready for the process to start again.